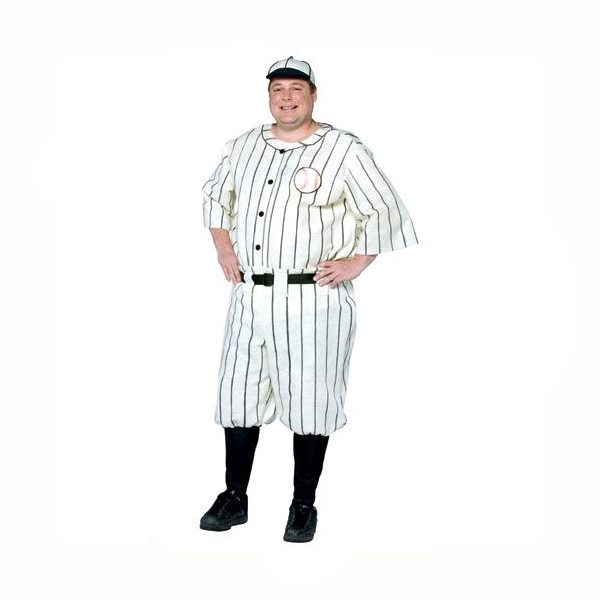 Baseball Player Costume is a men’s XXL size retro style baseball uniform costume. Baseball Player Costume is a men’s XXL size retro style baseball uniform costume. This Old Tyme ball player costume features a slip-over off-white with wide black pin stripes shirt, ball cap, and baseball pants. 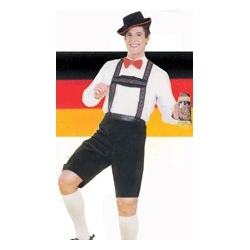 This costume also includes a black belt.